MGR offers its Winnipeg clients energy efficiency retrofits, residential renovations, and a service for vulnerable persons who cannot prepare their home for bed bug treatments. MGR is helping to create meaningful employment, more affordable housing, and stronger communities. 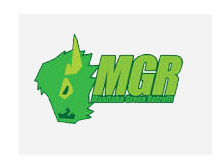 MGR accesses niche markets where low barrier work can be developed. COS has assisted MGR in engaging a market study for a prospective new service which will extend MGR’s employment strategies impact. Read more about MGR.